Mark Cantrill talks with Karl Boyes about the World Cup, and this year’s Mosconi Cup competition, including his prediction of the results. He also suggests that Matchroom wants USA to win?! Mr. 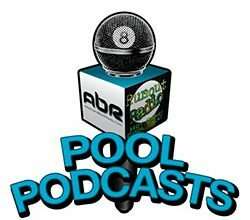 Bond tells us some creepy Halloweeny stories of death and destruction in the pool world. Show Features: Mary Ann Starkey, Frank Murcia, Karl Boyes, Mark Cantrill, David “Mr, Bond”. Jay reports the finishing players in the MPA Tournament held in Fridley, MN and talks about the US Open prize money being paid. He also discusses the North Star Ladies Pool Tour, fundraising for Junior players and pocket size. U.S. Open founder Barry Behrman discusses the results of his event with Mike Howerton. Mark Cantrill talks with Team USA coach Mark Wilson while Mr. Bond talks with Team Europe coach Johan Ruysink about the coming Mosconi Cup event, along with a friendly wager. Show Features: Barry Behrman, Mike Howerton, Mark Cantrill, Mark Wilson, David “Mr. Bond”, Johan Ruysink. Jay talks all things 14.1 continuous with Dennis Green, head of the MN Straightpool Assn. Check out his website at: mnstraightpool.com. They also talk about the old pool rooms in Detroit Lakes, Fergus Falls and Crookston, MN. Jay updates the winners in the first three MPA tournaments and urges participation in the fundraiser Scotch Doubles to help with expenses for junior champion April Larson to get to Shanghai. Matchroom announces the U.S. referee for the Mosconi Cup this year. Find out who it is as Mark Cantrill chats with him about ref duties and more. Mr. Bond gets some answers from designer Colin Tury, about the new Brunswick GC VI table. Mike Howerton gives us a live update from the U.S. Open in VA. Alison and JT discuss the Predator tour and the U.S. Open. Show Features: Mark Cantrill, Ken Shuman, Colin Tury, David “Mr. Bond”, Mary Ann Starkey, Andy Craney, Alison Fischer, Jerry Tarantola, Mike Howerton. Jay Helfert, the acting tournament director at this year’s U.S. Open discusses the format and proposed rules for the event with Mike Howerton. Mark Cantrill talks with former champion Johnny Archer about his take on what the rules should be, from a players perspective. Go west young man, and take your pool cue. April Larson shows why she is a champion, not only because of her pool knowledge and execution, but because she is a smart, charming, mature and very personable young lady. April is getting ready to compete in the World Junior Championships in Shanghai. The US players get no help for their expenses except from donations to the Billiard Education Foundation and the Black Widow Foundation. If you would like to help offset their expenses please make a donation today. Who brings home not only the cheese, but the bacon too? Darren Appleton. Again and again in 2014. Mark Cantrill chats with the multi-talented Applemonster about his recent wins and his sizing up of this year’s Team USA. Mary Ann Starkey talks with Johnny Archer about his pool playing playground in Marietta, Georgia. Scott Lee and Randy G unlock the secrets of old dogs and new tricks. Show Features: Johnny Archer, Mary Ann Starkey, Mark Cantrill, Darren Appleton, David “Mr. Bond”, Scott Lee and Randy G.
Grab your cue and turn on the radio. 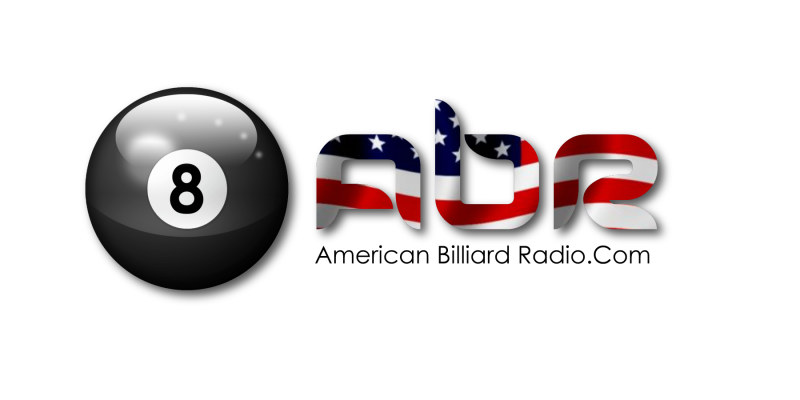 American Billiard Radio.